We are available 24 hours a day to assist with all plumbing problems, from leaks and burst pipes, to fixing central heating systems and boilers. As a local business we provide emergency plumbers who will be at your property as soon as possible to provide assistance with your plumbing disaster. You can be confident in a reasonable price as well as a friendly, efficient service that arrives promptly. We do not charge a call out fee for emergencies and we will only expect you to pay once you are satisfied with the work. We have an excellent reputation for finding and fixing faults with central heating systems and you can be confident we will find the cause of your problem in no time at all. We will always aim to have your home back to normal as soon as possible. 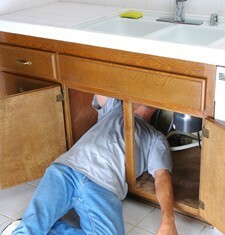 For an emergency plumbing service that is available in Nottingham at any time of day or night call us on 0115 815 7281.